James Williams/CRKT Otanashi noh Ken Combat/Tactical Folder: Silent-Opening, Folding Tactical Knife with Intimidating 4.52″ Osoraku-Zukuri Tanto-Style Blade! (Video!) | DefenseReview.com (DR): An online tactical technology and military defense technology magazine with particular focus on the latest and greatest tactical firearms news (tactical gun news), tactical gear news and tactical shooting news. Columbia River Knife & Tool (CRKT) has a really badass tactical folder (folding knife) designed by well-known and highly-respected martial arts/fighting/tactical instructor James Williams called the Otanashi noh Ken, that's one of the most intimidating knives of this type DefenseReview's (DR) ever seen or handled. 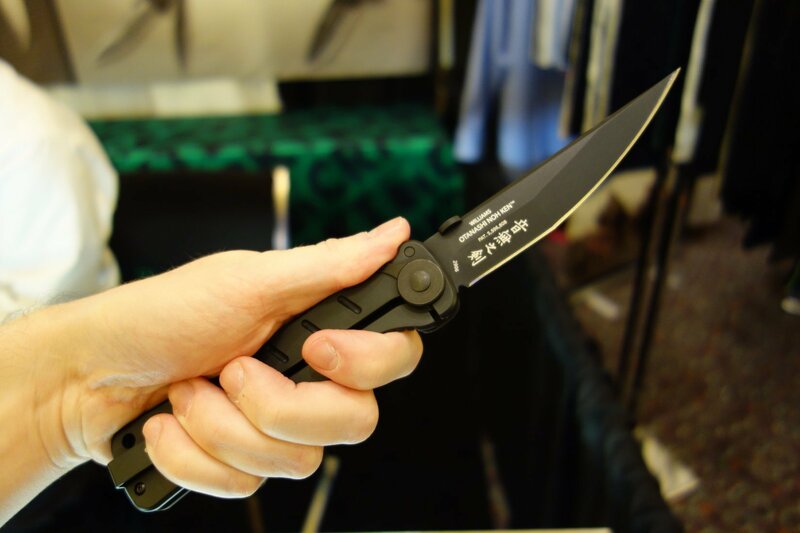 Featuring a 4.52-inch (4.52") Osoraku-Zukuri tanto-style blade, the 6.4-ounce CRKT Otanashi noh Ken (ONK) tactical folder was designed and developed by Mr. Williams specifically for military Special Operations Forces (SOF) assaulters/operators who need a lot of knife in a thin, lightweight, lo-pro (low-profile)/concealable package–at SOCOM's (USSOCOM) specific request, no less. 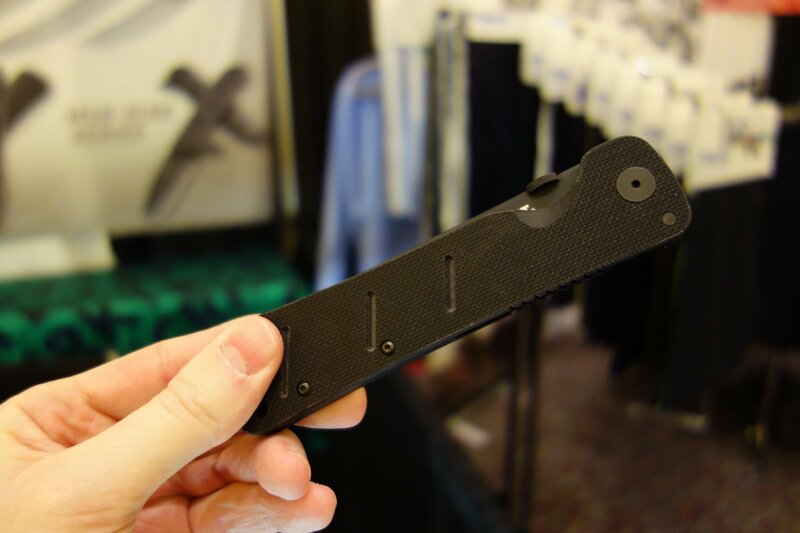 SOCOM requested a "larger, thinner, folding combat knife that was easy to carry and conceal," and they got it! 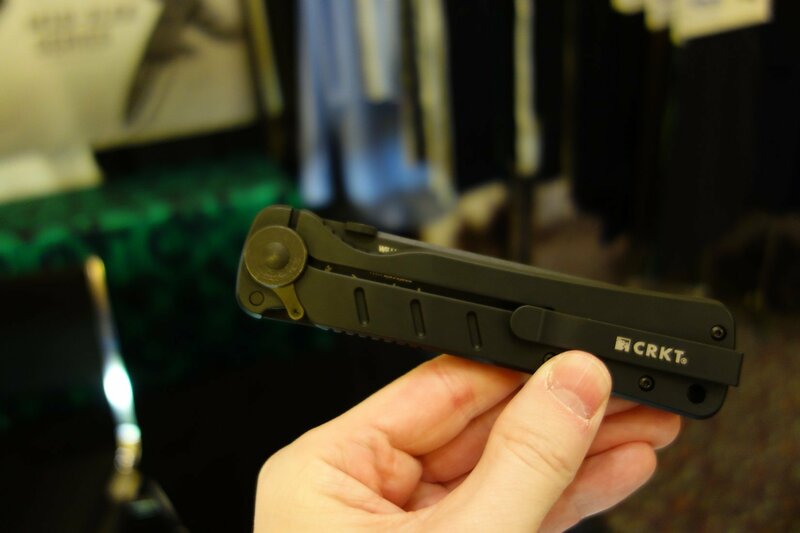 Even the pocket clip is low-profile. Appearance-wise, the Otanashi noh Ken looks like a smaller, folding version of the CRKT Hissatsu fixed-blade combat knife, but the Otanashi has a longer blade and handle than the Hissatsu tactical folder. 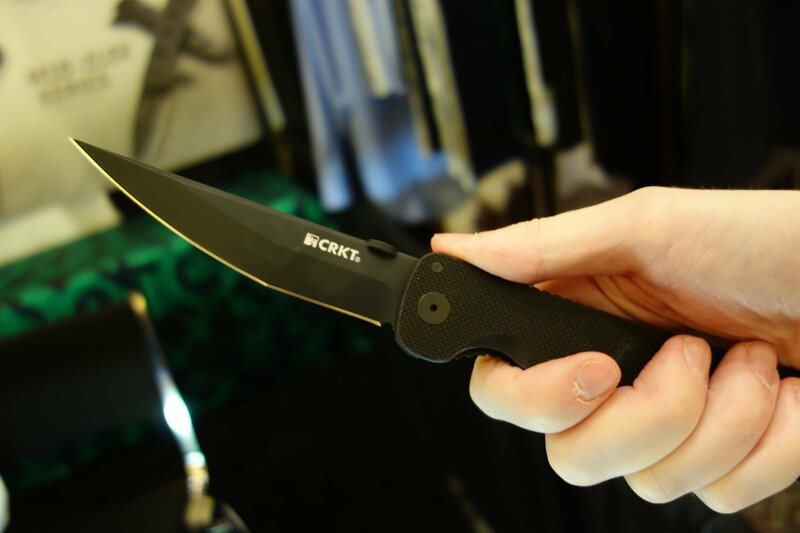 It also has a different safety/locking system than the Hissatsu folder called the LAWKS, which is manual and "engages a pin against the framelock, and that is designed to create a virtual fixed blade like our auto-lock system does, but you can either choose to use it, or not," says CRKT's Joel Bornzin. According to Bornzin, once the LAWKS safety/frame-locking system is engaged, the liner lock can't fail. The Otanashi noh Ken is “silent-opening”–or at least very quiet-opening–for clandestine/silent deployment. This LAWKS/frame-locking system therefore comes in handy when you need to jam the 4.52"-long blade down into an opponent's supraclavicular fossa (space behind the clavicle and to the side of the neck) or up under his rib cage or sternum and into a vital organ–only in self-defense or defense of others, of course. The Osoraku-Zukuri blade shape is optimized for both stabbing and cutting/slashing techniques. 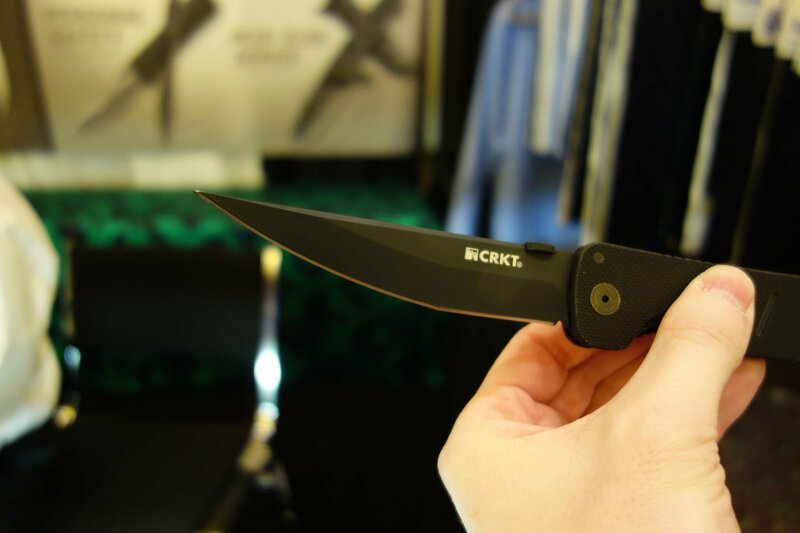 The CRKT Otanashi no Ken's open overall length is 10.13 inches (10.3"), yet the blade is only 0.16 inches (0.16"). The knife's black G10 handle is also quite thin, and yet it's quite comfortable in the hand and easy to grip well. 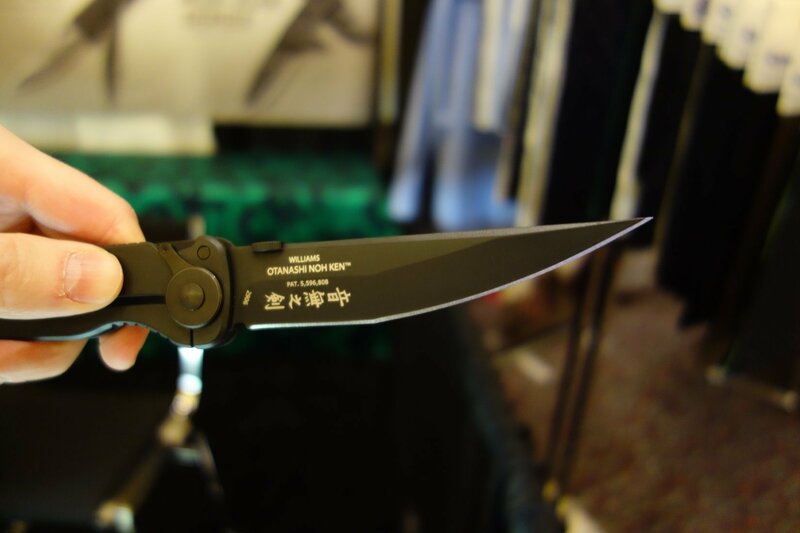 The blade on the sample we handled at SHOT Show 2013 was not only scary to look at, it was also scary sharp. When handling it, one can immediately and intuitively feel the knife's purpose, which is martial combat. This is a pure combat folder, designed by one of the best martial arts practitioners in America. Williams is an intellectual combat master/martial artist, and his forensic approach to combat is reflected in the knives he designs. All of his combat blades are designed for maximum efficiency and lethality in a dynamic CQB/CQC (Close Quarters Battle/Close Quarters Combat) environment. Understand that Williams is also a gunfighting instructor, including low-light/no-light force-on-force tactical shooting, so knives are simply part of his combatives curriculum. His edged-weapons training is primarily geared for military Spec-Operators who may have to, or choose to, deploy a knife during a gunfight, fluidly transitioning to the knife when an edged weapon becomes the optimal tool in close quarters, and then right back to the gun. While Williams' training gets very advanced and sophisticated with regard to body positioning and timing, he told Defense Review that he can teach someone to use one of his tactical blades effectively within a few days using some basic tactics, techniques and procedures (TTP). So, with that in mind, DR is going to try to acquire a CRKT Otanashi noh Ken as soon as we can, and do a two or three dayer with Williams to get squared away in its use. We've actually wanted to train with Williams at his Dojo of the Four Winds school for awhile now, since we consider him to be one of the best martial arts/military combatives instructors in the country. In the meantime, we hope you enjoy the photos and video provided with this article.